Hollywood is Dead » HOLLYWOOD-IS-DEAD INFECTS JAPAN, THE REST OF THE WORLD! 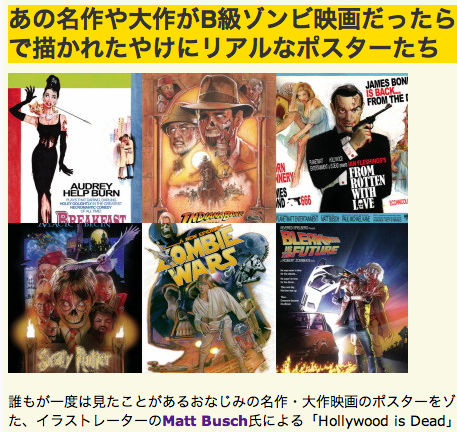 HOLLYWOOD-IS-DEAD INFECTS JAPAN, THE REST OF THE WORLD! 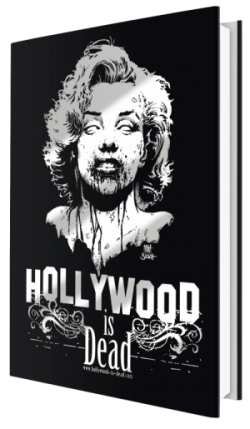 The Hollywood-isDead movement is making waves in Japan, and the rest of the world for that matter! While artist Matt Busch prepares for something big on the zombified front, below is a look at some select websites around the world that have recently been infected! ART INSIGHTS MAGAZINE An exclusive interview with Hollywood-is-Dead artist Matt Busch and a closer look at some of the original art! ZOMBIE APOCALYPSE Check out this video that shows Hollywood-is-Dead artist Matt Busch illustrating a zombified poster of World Renown Sound Designer Ric Viers for a new collection of Zombie Sound Effects! WHO KILLED BAMBI shares some love for Hollywood-is-Dead all the way from the U.K.! FOR THE WIN DAILY shares the zombified Star Wars posters! ZOMBIEINFO.COM Some great buzz on upcoming 80′s themed zombified posters! TOH MAG! Brazil shares the Hollywood-is-Dead infection! TREND HUNTER puts Zombified Movie Posters near the top of the list! BIT REBELS shares 16 of it’s favorite Hollywood-is-Dead movie posters! Stay tuned for more cinematic corpses! The phenomenon is just right simply because the art is amazing.